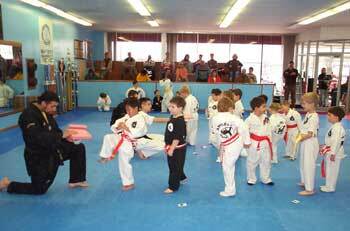 Our Little Ninjas program is specifically designed for the younger martial artist. We believe between the ages of 3 and 6, the most important years of a child’s development occur. The program is a martial arts curriculum that focuses on improving pre-school age children’s basic listening and motor skills. These skills will help them become better students at school, better listeners at home, and have a positive attitude in life that revolves around respect. Our Little Ninjas program will enhance your childs development in a fun and positive way.